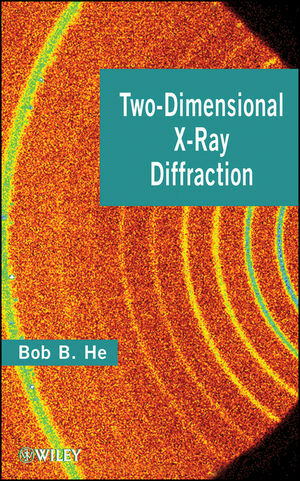 Written by one of the pioneers of 2D X-Ray Diffraction, this useful guide covers the fundamentals, experimental methods and applications of two-dimensional x-ray diffraction, including geometry convention, x-ray source and optics, two-dimensional detectors, diffraction data interpretation, and configurations for various applications, such as phase identification, texture, stress, microstructure analysis, crystallinity, thin film analysis and combinatorial screening. Experimental examples in materials research, pharmaceuticals, and forensics are also given. This presents a key resource to researchers in materials science, chemistry, physics, and pharmaceuticals, as well as graduate-level students in these areas. Bob Baoping He is the Director of R&D and Engineering at Bruker AXS (formerly Siemens AXS). Mr. He holds a PhD in materials science from Virginia Tech and holds twelve U.S. patents.